Freelancers celebrated International Freelancers Day for the first time in 2010, which was made possible by Ed Gandia, co-founder and project head. 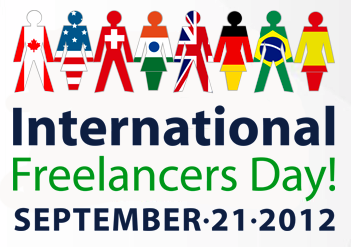 On its 3rd year, we celebrate again the International Freelancers Day on September 21, 2012 with the biggest Online Conference exclusively prepared for solo professionals. 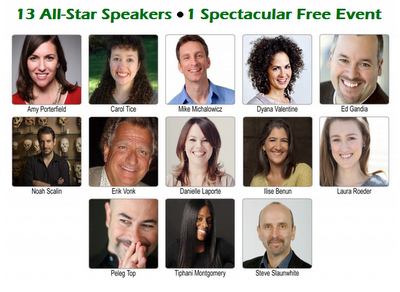 I attended this online conference in 2011 for over 10 hours straight just to digest everything and to review the notes I made while listening to the speakers. Online attendance to this event is FREE. Go to the website: http://www.internationalfreelancersday.com and register. Hurry, because registration is only open before the actual conference day. On September 21 (Friday), Session #1 starts at 10:00 am EST (Eastern Standard Time-New York) which is the Opening Keynote to be given by Ed Gandia. The whole conference will end before 6:00 pm EST. In the Philippines, this time coverts to 10:00 pm start (of September 21, Friday) and will end before 6:00 am (of September 22, Saturday). Ed Gandia is the founder of the International Freelancers Day website and is spearheading this project. He is a recognized expert in freelancing and wants to share his knowledge to the world about the growing freelance phenomena and where this trend is heading. He is the founding partner of International Freelancers Academy and co-author of the best-selling and award-winning book, The Wealthy Freelancer. The special online conference features this year 13 of the world's most respected professionals and thought leaders in the areas of freelancing, marketing, social media and personal development. They'll reveal proven and actionable business-building ideas, insights, tactics and strategies that will help take your "business of one" to the next level. You'll also benefit from online networking opportunities with freelancers from around the globe.